It was a night that changed the Second World War. 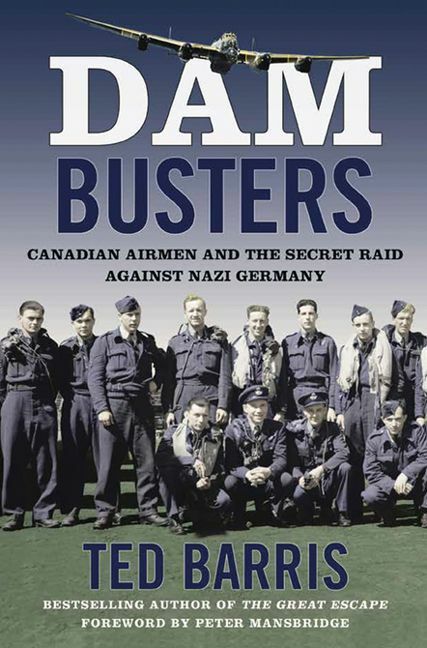 The secret air raid against the hydroelectric dams of Germany’s Ruhr River took years to plan, involved an untried bomb and included the best aircrewmen RAF Bomber Command could muster—many of them Canadian. The attack marked the first time the Allies tactically took the war inside Nazi Germany. It was a military operation that became legendary. On May 16, 1943, nineteen Lancaster bombers carrying 133 airmen took off on a night sortie code-named Operation Chastise. Hand-picked and specially trained, the Lancaster crews flew at treetop level to the industrial heartland of the Third Reich and their targets—the Ruhr River dams, whose massive water reservoirs powered Nazi Germany’s military-industrial complex. Each Lancaster carried an explosive, which when released just sixty feet over the reservoirs, bounced like a skipping stone to the dam, sank and exploded. The raiders breached two dams and damaged a third. The resulting torrent devastated enemy power plants, factories and infrastructure a hundred miles downstream. Every airmen on the raid understood that the odds of survival were low. Of the nineteen outbound bombers, eight did not return. Operation Chastise cost the lives of fifty-three airmen, including fourteen Canadians. Of the sixteen RCAF men who survived, seven received military decorations. Based on interviews, personal accounts, flight logs, maps and photographs of the Canadians involved, Dam Busters recounts the dramatic story of these young Commonwealth bomber crews tasked with a high-risk mission against an enemy prepared to defend the Fatherland to the death.